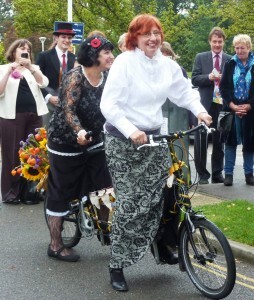 And what better and more fun way to get to and from a wedding than on a tandem bicycle! Not only as transportation, though. 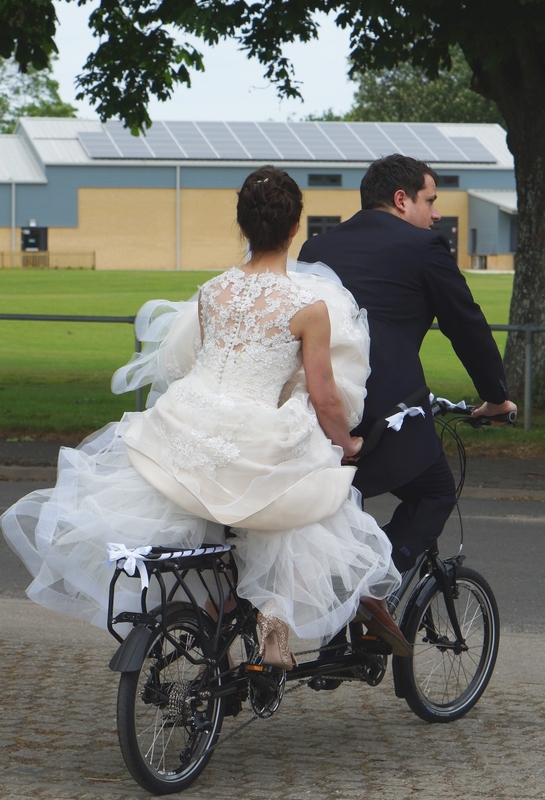 Tandems are becoming increasingly popular as wedding presents. Instead of a conventional wedding list, friends who might like to give gifts, can be given a part by part breakdown of the tandem the couple would like and can contribute component parts accordingly. Our sister tandem hire company, Blue Yonder Hire, has considerable experience with providing tandems for weddings and other special one-off events, and if you are interested in having a Circe tandem as a wedding present, it is advisable to talk to us several months before the event.